Let us help you create a professional finish to any printed piece with laminating, binding, UV coating, die cutting and more! For more than 40 years Classic Laminations has served the graphic arts community with quality products and services, quick turn-around times, and very competitive price points. From humble beginnings focused on serving Northeast Ohio, we have responded to our customers' requests to expand our products and services, where we are now one of the most comprehensive print finishing companies in the Midwest. 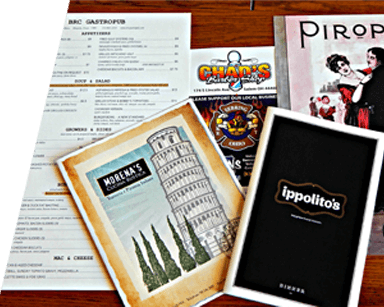 When you choose Classic Laminations you are partnering with a print finishing company with vast resources to meet virtually all your print finishing needs. Our experienced staff takes great pride in being an extension of your business. You can count on Classic Laminations to take the same care that you would in putting the finishing touches on all your projects. We know you have choices with your print finishing. Rest assured your business is truly appreciated. Let us know how we can work together to help you grow your business. Because at Classic Laminations, we make lasting impressions last longer.